with recent paintings and drawings by Korean artist Wonkun Jun. Jun describes his paintings as a manifestation of his sensibility and a reflection of his emotion. 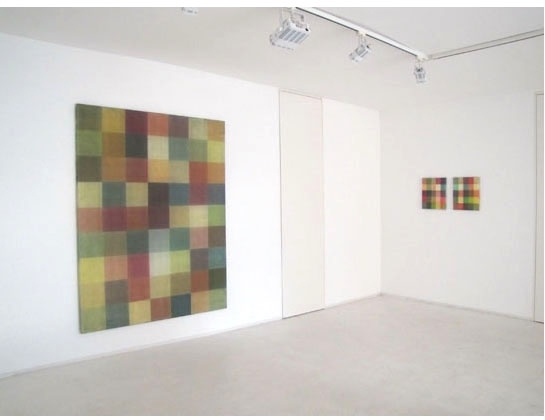 His paintings are composed of spaces of colour. He usually applies colours 20-30 times in multiple layers. The intensity of the colour can be sensed at the edge of the canvas, where the shrewd observer may discover a wide variety of colour coatings. Wonkun Jun, born 1970 in Seoul, South-Korea, was educated at the Chugye - Academy of Fine Arts, Seoul, Hochschule für Bildende Künste Braunschweig and Kunstakademie Düsseldorf. In 2001 he graduated as a Meisterschüler of Helmut Federle.